"Array of products offered by food & beverage sector"
Foodex Japan will feature products like Food Processing Equipments, Filling Machinery, Bakery Equipments, Consumer products, Packaging equipmens, Food preservation and Canning practices. Good place to trade and learn. It could be better. Japanese do not speak ENGLISH. It went through translators which is not very encouraging. 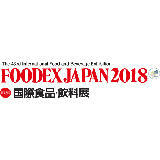 Around 2,400 exhibitors will participate at the FOODEX JAPAN event. Products related to the Agricultural Products, Confectionery, Organic Products, Whiskey, Herbs and Spices, Frozen Food Products, Meat and Meat Products, Liqueurs, Delicatessen, Seasonings and Condiments, Dietetic Products will showcase at the expo. Acuicola Marion, Adecal, Aecovi-Extendaagri-West International, Inc., Agroindustrias Campo Real, Agricola Castellana-Cuatro Rayas and more will exhibit their product and services at the show.